Jaysh al-Islam, a group that is trying to overthrow Bashar al-Assad and establish a caliphate in Syria, has shelled a UN humanitarian convoy in the province of Damascus, the Russian Defense Ministry reported. Moscow urged the UN to designate the group as a terrorist organization, but the US blocked this initiative. The incident took place in Harasta, a suburb of Damascus, the ministry detailed. The driver of the truck that was distributing humanitarian aid is said to have been badly wounded. In addition, Jaysh al-Islam fighters shelled the Syrian Arab Army in the villages of Arbil and Jaubar. Headquartered in Eastern Ghouta, Jaysh al-Islam has been active in Damascus, the Syrian province of Homs and the Lebanese town of Arsal. It is estimated to have up to 25,000 fighters, making it the largest radical group operating close to the capital. The group is believed to have been supported by Turkey and Saudi Arabia. Jaysh al-Islam has coordinated its activities with al-Nusra Front, al-Qaeda’s offshoot in Syria that is not part to the nationwide ceasefire agreement brokered by Russia and the US earlier this year. For its part, the militants claim that they are part of the Syrian opposition. Its delegation has taken part in the Geneva peace talks.Russia, Syria, Iran and Egypt have added the group to the list of terrorist organizations. Moscow has made every effort to convince the UN Security Council to designate Jaysh al-Islam and Ahrar ash-Sham as terrorists, but the United States, the United Kingdom, France and Ukraine pulled the plug on this initiative. 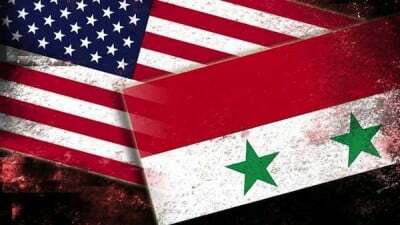 “We have called for this and submitted a relevant proposal to the sanctions committee, so that they [the groups] would be added to the list of terrorist organizations, but so far, our Western partners are not ready for this,” Russian Deputy Foreign Minister Gennady Gatilov said earlier in June. Russian officials maintain that Jaysh al-Islam and Ahrar ash-Sham share the same ideology as Daesh, a brutal group that carved a caliphate out of Iraq and Syria.